One of the most important things you can do for yourself as a DV survivor is to find a lawyer to stand beside you when fighting against your abuser in court. The stories I hear from abuse survivors about rulings they’ve received in custody court would turn your hair. When abusers get partial or even full custody of their kids, this is NOT OKAY – and it happens more often than you would believe. I wish all of us could afford a good high paid, high-powered attorney. Sadly, most of us can’t. There are some things we can do, however. I recently took a webinar hosted by NCADV. Two lawyers from the American Bar Association gave some pointers on how to find a good DV lawyer. I hope you find these tips helpful. Finding a good family law attorney isn’t good enough. In the same way you would want an accountant who specializes in tax law to help you if you were being audited by the IRS, you will want a lawyer who specializes in DV when getting a protection order or fighting for custody with an abuser. If it is at all possible, try to find a good DV attorney before you leave your abuser. Of course, if you must leave in a hurry, leave. But having an attorney before you leave may make all the difference in the outcome of your case. Get a referral from your local DV crisis center. Find your local center here. American Bar Association – Domestic and Sexual Violence. Have you been trained in Domestic Violence? How many hours of training have you received? Are you open to receiving more DV training? How often do you take DV cases? Which judges have you argued before in the past? Are you experienced in getting Protection (Restraining) orders? How will you protect me from my abuser when I go to court? Are you trained to work with clients experiencing trauma? Do you have a list of other resources, like counselors, you can recommend? How often will I hear from you? Will you call me periodically? Will I be able to reach you when I need you? If the attorney won’t give you time to ask these types of questions, s/he is not the right attorney for you. 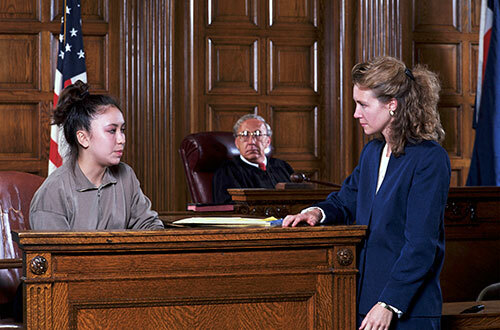 DV attorneys should have more than a one hour course in DV. Don’t hire a lawyer who makes all the decisions. They should be client centered – as the client, you decide what the attorney should do. The attorney can advise, but you get the final say. Ask them for references of DV victims they have helped before. Then call their references and ask pointed questions about how the lawyer practices. Do not, however, ask the attorney for their win/loss ratio. Those numbers can be misleading. For what will you charge me, and how much will you charge? Do you charge less if I call with a question for the receptionist or legal assistant? If the attorney requires a retainer, ask if they will work out a payment plan with you, and will they return any portion of it that they don’t use? Will you have to pay other costs besides the attorney’s (like mediators, Child and Family Investigators, etc.)? What can you, as the client, do to keep your attorney costs down? Insist on meeting face to face before the court date. Ask for protection from your abuser when meeting at their office, or going to court. If you have a protection order, you should not have to sit with your abuser in their office. Don’t be hesitant to insist that your attorney meet your needs. Don’t be overawed by their position. Get a copy of everything your attorney enters in court. If you can make the copies yourself, it may be less expensive. Periodically, ask for a breakdown of the fees they are charging you. Be aware that attorney/client privilege is only valid if no one else is in the room, like advocates or interpreters. The ABA attorneys were aware that many abuse victims get a raw deal in court. However, they also pointed out that judges can only rule on the evidence that is submitted to them. If you or your attorney do not present all the evidence you have, the judge cannot be held responsible for a bad ruling. Do not pervert justice; do not show partiality to the poor or favoritism to the great, but judge your neighbor fairly. Question: Have you had good or bad experiences with attorneys? I’d love you to share your story in the comments of this blog. My great desire is that our court system will one day give justice to all abuse survivors. Until that day, I pray you get the legal help you deserve. My cousin has just made it out of a relationship where she was experiencing domestic violence and she has decided to start finding an attorney to help her press charges. So I like your tip to ask the lawyer you are considering using about their training and experience in domestic violence cases. I will definitely help my cousin find an attorney that will be able to help her press charges and has a lot of experience with this same process. I am so glad your cousin has someone in her corner! That is so great. You might ask your local domestic violence crisis center if they have any recommendations for good DV lawyers. Bless you! I agree that you will want to ask a lawyer how many domestic assault or violence cases they has had, as it will show you how much experience they have. My cousin has an abusive husband, so she’s looking for a lawyer to help her out. I’ll share this article with her, so she can find the best lawyer to help her.